The way the UK shipping register is administrated needs urgent reform or the red ensign will die, industry has warned. Data emerged early in 2015 showing that the number of ships flying the UK flag has fallen by a third in the last 5 years. Now the industry has responded with a report identifying what needs to change, with a clear message that ‘the status quo is not an option’ if the UK flag is to remain an influential global maritime player. The report, written by an independent panel of shipping industry leaders at the request of the Maritime and Coastguard Agency calls for a new public corporation to administer the UK ship register and promote the UK as a place to do maritime business around the world. “The UK is entirely reliant on the shipping industry, but the UK flag will die unless substantial reforms are delivered. The UK is a world leader in maritime services, and it has the skill and ingenuity to maintain its position for generations to come – but the days of tinkering with the administrative process are gone. In a fiercely competitive global environment, we now need fundamental change to reverse the decline before it is too late. “Shipping companies invest heavily in the UK and contribute billions to GDP and the Exchequer. They can choose to do business anywhere in the world and they have the right to strong customer service and a regulator that actively supports them. “Numerous shipowners around the world have told me that they will join the UK flag if reforms are delivered. It shows there is demand and goodwill, and with the right political will we can make the most of the opportunity. “Crucially, with the right leadership and ambition, a new public corporation that promotes and administrates the UK flag can be profitable for the government, and deliver substantial economic growth to UK PLC. 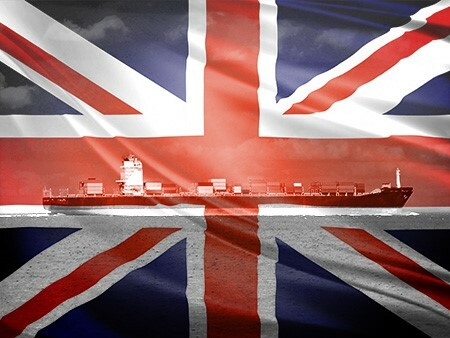 “A strong UK Flag supports the £10bn UK maritime sector. But in the last few years, the UK has lost over half its global market share. We believe with decisive action the Government can turn this around. Barriers to the attractiveness of the UK Shipping Register are caused both by what it has to offer, and how it is delivered. It is clear that the UK Flag has the capability of competing on quality and cost yet is failing on service levels. There should also be a review of ownership registration criteria with a view to widening the UK’s potential market without reducing the quality of the offer. The Panel recommends that a target of 2% of world tonnage (circa 30m GT based on current world fleet growth forecast) to be under the UK Flag by 2020 and that this percentage of world tonnage should at least be maintained thereafter. The vision is for a marine administration that has a focus on being the flag of choice for quality owners. The Flag will be large, dynamic, international and highly influential. and, closely involving HMT and other interested Departments.